The west German duchy of Hesse was a single, unified, and enlargened state from 1500. The main body of its territory was comprised of various regions to the east of Nassau, and between the River Lippe to the north and just below the Maine in the south. Formerly the Chatti tribe of the first century AD, the Hessians formed a semi-independent territory out of the collapse of the much larger stem duchy of Franconia. They gained a landgraviate in the thirteenth century and a duchy in 1500. From 1509, Duke Philip the Magnanimous was the single most influential figure in the history of all of the various Hessian territories. One of the political leaders of the Reformation, it was during his reign that Hesse played a role of great importance in the Reich, meaning 'empire' - in this case the Austrian-dominated Holy Roman empire which covered most of central Europe. Hesse's city of Frankfurt-am-Main was for a long time a free imperial city, serving as the location in which German emperors were crowned. Following Philip's death, Hesse was divided into the regions of Hessen-Kassel, Hessen-Marburg, Hessen-Rheinfels and Hessen-Darmstadt, one each for Philip's four sons. Hessen-Darmstadt was formed out of the Obergrafschaft ('upper county') of the former 'Imperial Immediacy' of the county of Katzenelnbogen, an 'immediacy' being a district which answered directly to the Holy Roman emperor rather than a local overlord or prince. Having been created in 1095 to comprise the Obergrafschaft ('upper county') and Untergrafschaft ('lower county'), it witnessed four centuries of rule by its own Katzenelnbogen counts before the line died out in 1497. It was inherited by Hesse thanks to the 1458 marriage between Henry III of Upper Hesse and Count Philipp's daughter, Anna of Katzenelnbogen. The rulers of Hessen-Darmstadt continued to hold the title of landgraf ('landgrave' in English), although they formed the most junior of the four branches and, along with Rheinfels, the smallest of the four Hessen divisions, gaining just an eighth of the previous duchy's land. Darmstadt's territory was located in the south of Hesse, formed around the city of Darmstadt. 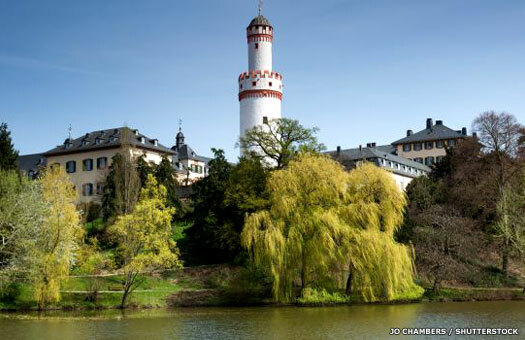 Also located within Hessen-Darmstadt was the city of Frankfurt-am-Main, while the area to the south of Frankfurt is heavily forested, especially around the Odenwald (the Forest of Odes, to the south of Darmstadt), which leads to the famous Black Forest and onto the Alps. 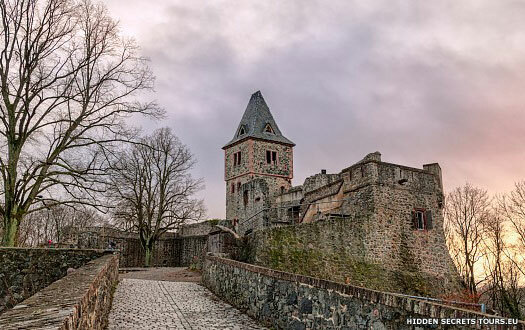 The city of Darmstadt is also very close to the (now restored) ruins of Frankenstein Castle. Fourth son of Philip I of Hesse. First landgrave in Darmstadt. Son. Numbering continued from Hessen-Marburg. Ludwig's younger brother, Philipp, forms the short-lived cadet branch of Hessen-Butzbach as Philipp III, continuing the numbering that had started with Philip of Hesse and which had continued with Philipp II of Hessen-Rheinfels. The Ydulfings of Hessen-Marburg die without producing a successor, the only ruler for this branch being Ludwig's uncle, Ludwig IV. Maurice of Hessen-Kassel claims back the title and attempts to impose Calvinism upon its subjects, contrary to the rules of inheritance. This causes disagreements between him and his cousin, Ludwig V of Hessen-Darmstadt, because Ludwig also inherits a portion of Hessen-Marburg's lands. 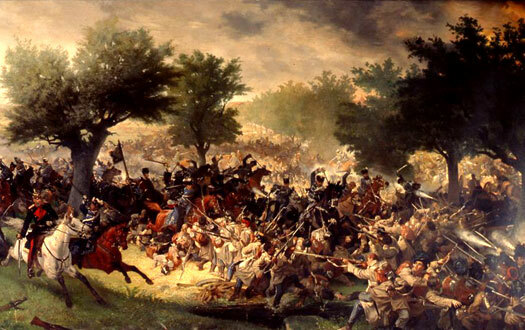 The disagreements evolve into armed conflict between the two in the Thirty Years' War from 1618. These issues are not resolved until the signing of the Peace of Westphalia in 1648. Ludwig V gains his title - 'the faithful' - from his attachment to the Holy Roman emperor. Darmstadt is sub-divided so that the minor principality of Hessen-Homburg can be created for Ludwig's youngest brother, Frederick. Upon the death of Ludwig V, Hessen-Darmstadt is again sub-divided. His eldest son becomes George II, landgrave of the main portion of Hessen-Darmstadt. George's younger brother, Johann, becomes head of the short-lived cadet branch of Hessen-Braubach. Eldest son. Hessen-Braubach went to his brother. The Marburger Succession Conflict between Kassel and Darmstadt is a result of Kassel claiming back both Rheinfels and Marburg (the latter in 1604) and attempting to impose Calvinism there against the rules of inheritance. An enemy of Kassel during the Thirty Years' War, Hessen-Darmstadt fights some of its bitterest battles against its neighbour. Darmstadt gains power after the war and the Peace of Westphalia (1648), along with a portion of Upper Hesse, the former Benedictine territory of Hersfeld, and part of Hessen-Marburg. Landgraf Johann of Hessen-Braubach has produced no offspring, so with his death the Hessen-Braubach line also dies out and presumably their lands are reintegrated back within Hessen-Darmstadt. Eldest son. Hessen-Darmstadt-Itter went to his brother. Upon Ludwig's accession, the cadet line of Hessen-Darmstadt-Itter is formed for his younger brother, George. This constant dividing and sib-dividing of territories is endemic amongst the German principalities, weakening them all while the Holy Roman empire retains overall mastery. Landgrave George Christian of Hessen-Homburg, a confirmed adventurer if ever there is one, sells Homburg to two of his biggest creditors, Johann Christian von Boyneburg and a banker by the name of Johann Ochs from Frankfurt. Wanting to realise the value of their newfound asset they sell Homburg to Ludwig VI of Hessen-Darmstadt in 1673. Although Landgraf George of Hessen-Darmstadt-Itter has become the father of two daughters, neither apparently marries so the line dies out. The title and any lands are reintegrated back into Hessen-Darmstadt. Eldest son. Ruled for 4 months. Died from an infection. Half-brother. Francophile who plunged Darmstadt into debt. The territories of Homburg and Bingenheim are reunited along with their titles by Frederick II. Upon his accession he becomes the landgrave of a Hessen-Homburg which now has no sub-divisions. Unfortunately he soon has to sell Bingenheim to Ernst Ludwig of Hessen-Darmstadt in exchange for monetary compensation. Ernst's eldest son, the future Ludwig VIII, had in 1717 married Countess Charlotte of Hanau-Lichtenberg. Despite her death in 1726, her inheritance still stands as the only offspring of Count Johann Reinhard III of Hanau-Lichtenberg. The count himself has done as much as he can to ensure that much of his lands pass to Ernst and his son (Johann's grandson), Ludwig. Now, with the death of the seventy year-old count, Hessen-Darmstadt gains Hanau-Lichtenberg. Hessen-Kassel gains Hanau-Münzenberg. Eldest son, by Charlotte of Hanau-Lichtenberg. Ludwig VIII has decided to reclaim Hessen-Homburg for himself. His troops march in and Ludwig claims to be the legal guardian of Landgrave Frederick IV, despite the latter already being twenty-three years of age. Frederick is an adult in the eyes of the law and is also married by now. The Holy Roman emperor and the Aulic Council review the case, although Frederick IV dies of a 'chest disease' in the meantime. His three year-old son succeeds him as Frederick V. The emperor confirms his mother as his regent, despite Ludwig's protestations (Ludwig is ordered out of the landgraviate in 1756). Eldest son. Became Grand Duke Ludwig I.
Hessen-Darmstadt fights against France as part of the Holy Roman empire. It is forced into neutrality in 1799. Along with a defeated Austria, Hessen-Darmstadt makes peace at Luneville in 1801. Hessen-Darmstadt is enlarged by a sharing out of previously imperial free towns and church states to compensate for land lost on the west bank of the Rhine to France (a few districts in Baden and Nassau have also been lost). It gains Kurmainz, Kurpfalz, and the Kurkolinsche duchy of Westfalen (Westphalia) from the Catholic Church. Hessen-Darmstadt is made a member of Napoleon's French-controlled Confederation of the Rhine (Rheinbund). In return it receives all remaining imperial possessions within its borders (including the grafschaft of Erbach and the landgraviate of Hessen-Homburg), but loses Katzenelnbogen. Landgrave Ludwig X is elevated by Napoleon to the status of grand duke, with Hessen-Darmstadt becoming a Grand Duchy. The French Revolution did more to change the German principalities than three hundred years of obedience to the Holy Roman empire had ever done. Firstly it forced many of the German principalities to take part in the various wars of coalition against France. These all failed and the main central European protagonists, Austria and Prussia, had to agree peace treaties. The most notable of these was the Peace of Luneville which compensated several German princes for losses of territory to France by assigning to them ecclesiastical land in Germany which were taken from the Pope. Then the rise of Napoleon Bonaparte and his dominance on both sides of the Rhine ended the Holy Roman empire itself in 1806. 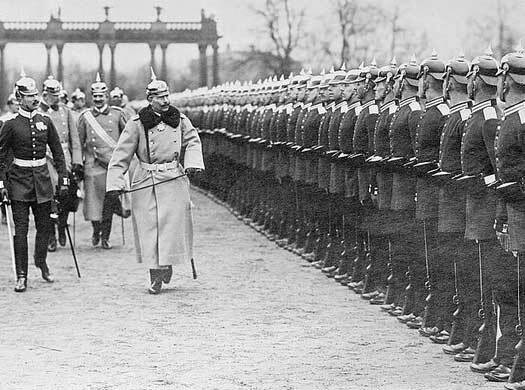 Imperial France was now the master of the minor German principalities. During Napoleon's reorganisation of them into his new 'Confederation of the Rhine', Hessen-Darmstadt was granted all remaining imperial possessions within its borders (including the grafschaft of Erbach and the landgraviate of Hessen-Homburg), but lost Katzenelnbogen. Landgrave Ludwig X of Hessen-Darmstadt was elevated by Napoleon to the status of grand duke (grossherzog), with Hessen-Darmstadt becoming a grand duchy. Its neighbour was not so fortunate. Having partially mobilised against Napoleon, Hessen-Kassel was erased, its territory being incorporated into the new kingdom of Westphalia. First Grand Duke of Hessen-Darmstadt. Formerly Ludwig X.
Darmstadt gains three Hessian domains of the German Order, the Fulda domain of Herbstein, and the estates of the Order of Malta in Hesse. This expansion probably coincides with France's defeat of Austria at the Battle of Wagram. Napoleon loses control of Germany. The short-lived kingdom of Westphalia is dismantled and Hessen-Kassel is restored by the allied armies. The kurfürst gains the Nieder-Grafschaft of Katzenelnbogen, and the prince-bishopric (grand duchy) of Fulda, which connects his Hessian lands with those in Hanau. At the Congress of Vienna, William's request to be recognised as king of the Chatti is refused. Hessen-Kassel remains an electorate despite the lack of a Holy Roman empire because being known as the 'Electorate of Hesse' differentiates it from the grand duchy of Hessen-Darmstadt, the junior of the two states which is now superior in rank thanks to its title. The Congress of Vienna makes further changes to Hessen-Darmstadt's borders in 1814, with the former county of Katzenelnbogen which had been annexed by the French in 1806 now being passed to Nassau-Weilburg. Ludwig becomes Grossherzog von Hessen und bei Rhein. He exchanges Westfalen with Prussia for Isenberg-Birstein, Worms, Alzey, and Bingen. The landgraviate of Hessen-Homburg is re-established in 1815, its independence being recognised by Hessen-Darmstadt (under duress). The latter is recognised as a member of the German Confederation in 1817, while Hessen-Homburg is its smallest sovereign state. Eldest son. His brother founded Hessen-Battenberg branch. An economic crisis in 1847 is the final straw for the French working classes, after a steady worsening in their general conditions. In a year of European revolutions in 1848 (Ireland, Liechtenstein, Lombardy-Ventia, and Wallachia also experience problems), they revolt against the government and the monarchy is overthrown. 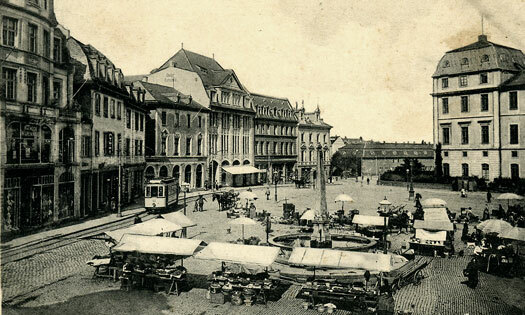 Hessen-Darmstadt experiences its own difficulties during the German Revolution of the same year. The rapid industrialisation of the Rhineland has formed a large working class. Much of the German effort in the revolution is directed against an autocratic Prussia, but in Hessen-Darmstadt Ludwig II resigns his position. Son. No heir, and predeceased by his brother, Charles. Prussia fights the Austro-Prussian War against Austria, essentially as a decider to see which of the two powers will be dominant in central Europe. As an officer who has been serving in the Austrian army, Alexander of Hesse (father of Prince Louis of Hessen-Battenberg) holds a senior position in Hessen-Darmstadt's much smaller army during the war. Prussia gains the newly-created kingdom of Italy as an ally in the south and several minor German states in the north. Austria and its southern German allies are crushed in just seven weeks (giving the conflict its alternative title of the Seven Weeks' War), and Prussia is now unquestionably dominant. Hessen-Darmstadt, despite being a supporter of the defeated of Austria in the Austro-Prussian War, only loses some territory (Hessen-Homburg, regained for a few months following the death of its last landgrave, and the northern urban district of Biedenkopf, on the River Lahn) but retains its independence. Hessen-Kassel has been absorbed into Prussia so, as the sole remaining Hessian state of note, Hessen-Darmstadt is now usually known as the duchy of Hesse. Prince Louis Alexander of Hessen-Battenberg is aged fourteen when, influenced by Princess Alice, wife of his cousin, Prince Louis/Ludwig of Hesse (the later Grand Duke Ludwig IV), and daughter of Queen Victoria of Great Britain, he joins the Royal Navy. In doing so he also becomes a naturalised British subject. The remarkable victory over the French empire in 1871 allows Prussia to declare the 'Second German Empire' (or 'reich') under the former Prussian King William I, now Emperor William. Pursuing an aggressive policy of integration within Germany under Chancellor Bismarck, the new empire incorporates the grand duchy of Baden as a state under its overall control. Bavaria, Hessen-Darmstadt, Lippe, Saxony, and Württemberg are also forcibly included within the empire as vassal states. Nephew. Grandson of Ludwig II. m Alice dau of Victoria of Britain. Alexander, son of Ludwig II, had concluded a morganatic marriage with Julia Hauke, thereafter know as Princess Julia of Battenberg. For this act he had effectively been barred from acceding to Darmstadt's title. As the daughter of John Maurice Hauke, a high ranking officer of German origin in the army of Congress Poland, Julia had not been considered worthy of the lineage of Hesse, so this special title has been created for her and her descendants. It is now that her son, Prince Louis Alexander, succeeds his father and becomes the first male head of the House of Hessen-Battenberg. Brother of Czarina. Ancestor of Lord Louis Mountbatten. The German empire moves swiftly to support its ally, Austria-Hungary, in a long-anticipated Great War (later more readily known as the First World War, or World War I). At the start it is successful against the Russian invasion of Prussia, routing their army at the Battle of Tannenberg, and in the west its armies reach the northern outskirts of Paris. Grand Duke Ernst Ludwig serves at the kaiser's military headquarters. But as the diplomatic, and social situation worsens in Germany in late 1918, the country loses its Austrian ally on 3 November. Emperor William II is forced to abdicate on 9 November and the next day he flees to neutral Holland. The war officially ends on 11 November. After the fall of the German empire, Hesse is proclaimed a republic by revolutionaries within its own borders. They declare that all ducal lands and properties have been confiscated and all hereditary entails have been abolished. The state is recreated as a constituent part of the new federal Germany. The grand dukes maintain their status and title as hereditary dukes of Hesse but with no power or position in the new state. Although Hessen-Kassel had been absorbed into the kingdom of Prussia in 1866-1867, Hessen-Darmstadt continued to survive as an independent entity. In 1871, following its humiliating defeat of France in the Franco-Prussian War, Prussia announced the founding of the German empire. Darmstadt and a host of other smaller German principalities were forcible incorporated as federated sub-kingdoms and states. Unfortunately for these sub-kingdoms, they were dismantled following the German submission at the end of the First World War. Hesse was proclaimed a republic from within its own borders, and was recreated as a constituent part of the new federal Germany. The grand duke maintained his status and title but with no power or position in the new state. Following the German defeat at the end of the Second World War, the modern 'Federal German State' of Hesse was formed, divided into three federal administrative districts. These are the southern district of Hessen-Darmstadt, the middle district of Hessen-Giessen (for most of its history part of Hessen-Darmstadt), and the northern district of Hessen-Kassel (old Casl and Cassel). Having suffered badly from 'firestorm' bombing during the latter stages of the war, Darmstadt itself prospered during the post-war years. Today it is known as the 'City of Science' for its collection of universities and scientific organisations. Lost his state in 1919. Retained title and status. Unfortunately, personal property in Hesse which belongs to the former Prince Louis of Hessen-Battenberg (now Louis Mountbatten of Milford-Haven) becomes worthless as the mark collapses amid massive political instability in Germany. Louis and his wife are forced to sell their home in Kent in England and also Louis' service medals to make ends meet. The Third Reich ('third empire' of Germany, which claims the first (Holy Roman) and second (German) empires as its forebears in order to attain a level of legitimacy) is established under Adolf Hitler's dictatorial Nazi rule, sweeping away the Weimar republic. The federal German constitution is suspended. Ernst Ludwig dies after a long illness at his home, Schloß Wolfsgarten, near Darmstadt. He receives what amounts to a state funeral on 16 November 1937 and is buried next to his daughter, Elisabeth, in a new open air burial ground next to the New Mausoleum which he had built in Rosenhöhe Park in Darmstadt. Son. Killed in plane crash with wife, two sons and mother. Shortly after the funeral of Grand Duke Ernst Ludwig, Georg Donatus, with his heavily-pregnant wife Cecilie, their two young sons, Georg's mother, the Grand Duchess Eleonore, the children's nurse, a family friend, and a pilot and two crewmen all fly from Darmstadt bound for Great Britain. George's uncle, Prince Ludwig, is due to be married there. The plane strikes a factory chimney near Ostend and crashes in flames, killing all aboard. The remains of a newborn baby are found in the wreckage, indicating that Cecilie had gone into labour during the flight, possibly explaining the attempt to land the plane in poor visibility. The deceased family members are also buried at the Rosenhöhe Park in Darmstadt. Uncle. Died. Claim passed to Hessen-Kassel's heirs. Adolf Hitler authorises the invasion of Czechoslovakia on 15 March 1939. The Nazi invasion of Poland on 1 September is the trigger for the Second World War. With both France and Great Britain pledged to support Poland, both countries have no option but to declare war against Germany on 3 September. The occupying US forces combine Prussian Hessen-Nassau and the republic of Hesse to form the federal state of Hesse. In the process, some of the Hessian regions are to be relinquished, but this - in spite of the 'foreign' influence involved - more or less resembles the mergers of the nineteenth century, making Hesse a consistent geographical, cultural, and historic unit since the thirteenth century. The ducal house of Hessen-Darmstadt comes to an end with the death of Ludwig. In 1960, Ludwig had adopted his distant cousin, Moritz, son of Landgrave Philipp of Hessen-Kassel, and by a family pact (made in 1902) Moritz's still-living father becomes inheritor of the ducal title of Hesse and the Rhine. All subsequent inheritors to the ducal titles are descendants of landgraves of Hessen-Kassel.